At Exagen, our goal is to help rheumatologists in the optimization of patient care through the differential diagnosis, prognosis and management of complex autoimmune diseases. Background We examined the usefulness of erythrocyte-bound C4d (EC4d) to monitor disease activity in SLE. Methods: Data and blood samples were collected from three different studies, each of which included longitudinal evaluations using the Physicians Global Assessment (PGA) of disease activity and the Safety of Estrogens in Lupus Erythematosus National Assessment (SELENA) SLE Disease Activity Index (SLEDAI), which was assessed without anti-double-stranded DNA (dsDNA) and low complement C3/ C4 (clinical SELENA-SLEDAI). EC4d levels were determined using flow cytometry; other laboratory measures included antibodies to dsDNA, C3 and C4 proteins. Relationships between clinical SELENA-SLEDAI, PGA and the laboratory measures were analysed using linear mixed effect models. Results: The three studies combined enrolled 124 patients with SLE (mean age 42 years, 97% women, 31% Caucasians and 34% African-Americans) followed for an average of 5 consecutive visits (range 2–13 visits). EC4d levels and low C3/C4 status were significantly associated the clinical SELENA-SLEDAI or PGA in each of the three study groups (p<0.05). Multivariate analysis revealed that EC4d levels (estimate=0.94±0.28) and low complement C3/C4 (estimate=1.24±0.43) were both independently and significantly associated with the clinical SELENA-SLEDAI (p<0.01) and PGA. EC4d levels were also associated with the clinical SELENA-SLEDAI (estimate: 1.20±0.29) and PGA (estimate=0.19±0.04) among patients with chronically low or normal C3/C4 (p<0.01). Anti-dsDNA titres were generally associated with disease activity. Conclusion: These data support the association of EC4d with disease activity regardless of complement C3/ C4 status and its usefulness in monitoring SLE disease. Additional studies will be required to support these validation data. 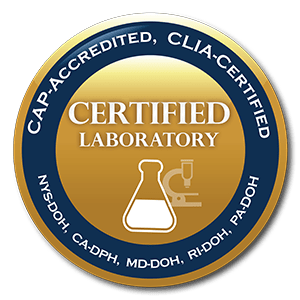 AVISE testing incorporates several biomarkers that are exclusively available from Exagen, including CB-CAPs and anti-CarP, as well as novel markers not widely available including anti-C1q and anti-PS/PT. Anti-C1q helps physicians assess a patient’s risk of thrombosis and lupus nephritis. 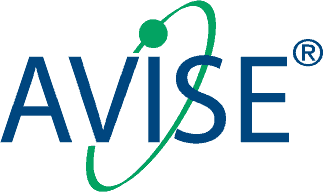 Would you like to learn more about AVISE testing or request a technical consultation about a test report? Contact us using this form below and a representative will contact you shortly.